Nevis is one of the Tropic Breeze team's favourite Caribbean islands and is almost untouched by tourism, allowing visitors to savour the island's colonial history. 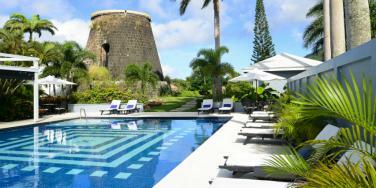 The island, which forms a nation along with neighbouring St Kitts, offers an authentic taste of the real Caribbean. 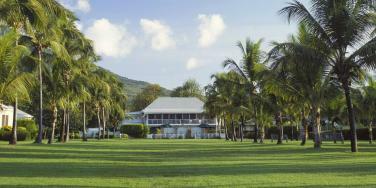 Some hotels occupy historic plantations and maintain an elegant atmosphere, perfect for a luxury holiday to Nevis, while those looking for a more laidback break can choose to stay in a private villa or in a boutique hotel. The local people of Nevis are charming, friendly and welcoming, while the pace of life in these stunning surroundings is easy-going. There are no traffic lights on the island, no fast food chains and no buildings that are taller than palm trees. At the centre of the island is the volcanic Nevis Peak, with lush green tropical vegetation tumbling down from the hillsides to secluded, palm fringed coves and sun drenched beaches. If you enjoy exploring historic sites or mountain walks through cool tropical rainforest inhabited by chattering monkeys, colourful birds, and a profusion of flora and fauna, then you need look no further. Nevis also boasts one of the best 18-hole golf courses in the Caribbean, located at the Four Seasons Resort but also open to non residents. 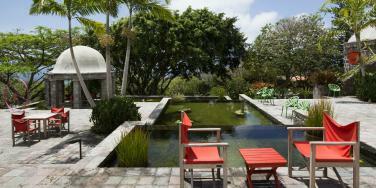 Nevis also the perfect choice for a wedding or honeymoon and has a very romantic history. It was on the island that a young naval officer, Horatio Nelson, met and courted a local widow, Fanny Nisbet, whose home was Nisbet Plantation. The couple married at Montpelier Plantation and their marriage certificate can still be seen in St John's Church. 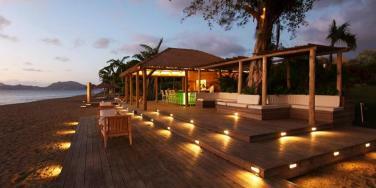 Call our travel specialists on 01752 880 880 to discuss your holiday to Nevis. 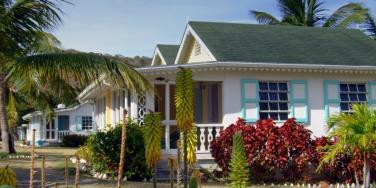 Call our travel specialists on 01752 880 880 to discuss your holiday to Nevis or browse the accommodation options below.